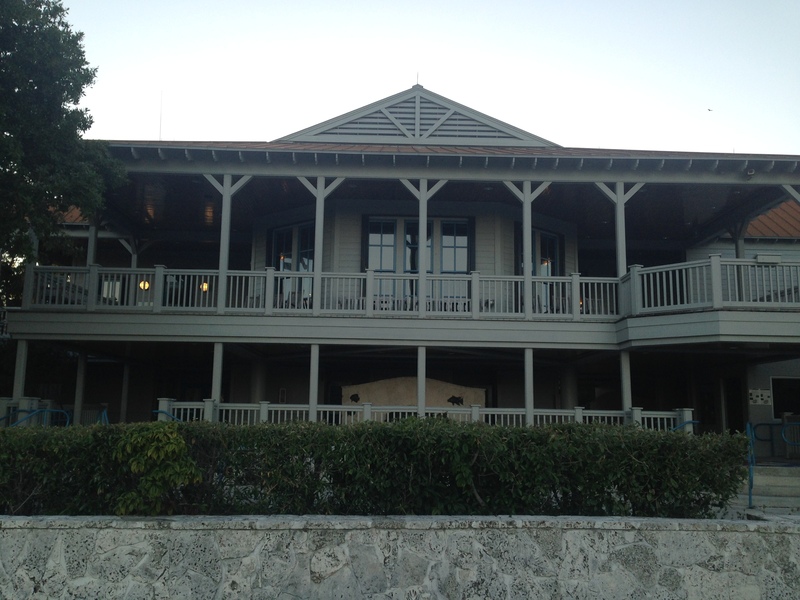 HOMESTEAD, Fla.— You are sitting in a rocking chair, on a porch that wraps around a big, wooden house. 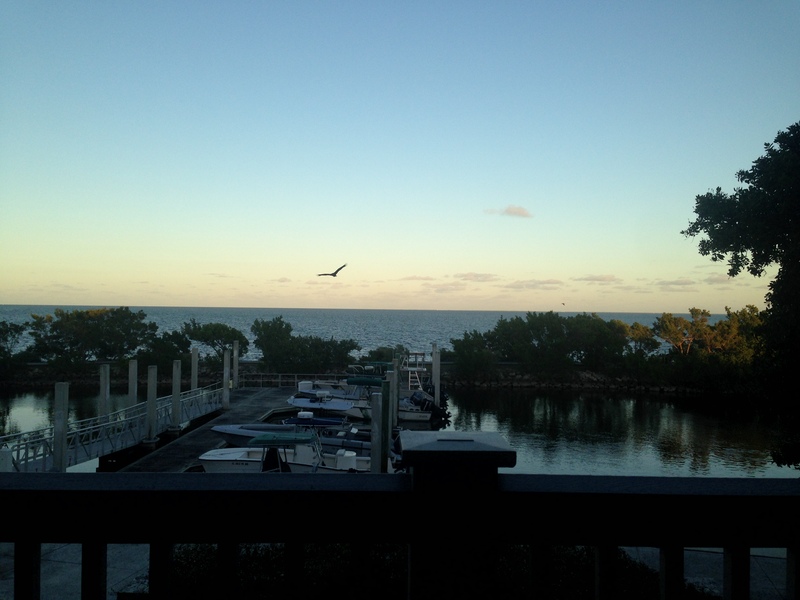 You have a view of the vast ocean in front of you. It is warm outside, but it is not a sweltering heat as the ocean breeze provides a smooth wind that rocks your chair back and forth. You are not dreaming. 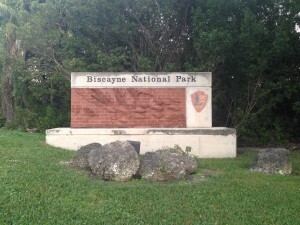 You are at Biscayne National Park. Biscayne National Park is located in South Florida, 21 miles east of Everglades National Park and on Biscayne Bay south of metropolitan Miami. It consists of 173,000 acres and was established as a national monument in 1968. 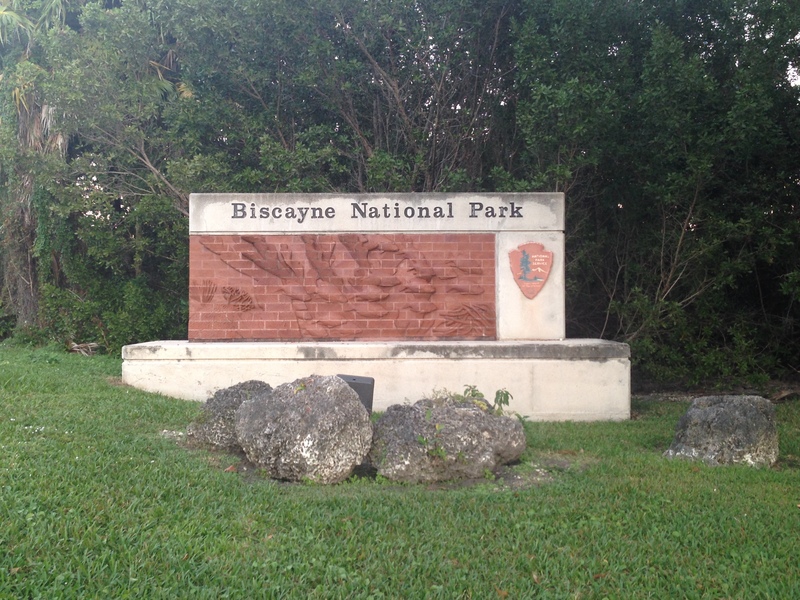 The main entrance sign for Biscayne National Park in Homestead, Fla. has marine life textured into the tiles (Photos by Veronica Lopez). But the unique thing about this park is that 95 percent of it is underwater. In fact, it is the largest marine National Park in the system and boasts the third largest coral reef in the world, with the first being the Great Barrier Reef in Australia, and the second the Mesoamerican Barrier Reef. The park’s rich history and wildlife offer much to its visitors, and has something for everyone that comes through its gates. With more than 600 species of fish and more than 300 species of birds, Biscayne National Park can be a dream for nature lovers. Visitors can enjoy a calming east view from a rocking chair on the porch of the Dante Fascell Visitor Center at Biscayne National Park. But Park Ranger Jay Johnstone, a Vermont native who has been working in the park service for 20 years, insists that the best way to make the most of your experience is to submerge yourself, literally. But getting below the surface has been difficult for visitors at Biscayne National Park. The concessionaire who ran the boat tours left the park in September 2013, and since then, park managers have been unable to offer that service to visitors. As a result of the lack of a concessionaire, the park has stepped up its game by initiating their canoeing and kayaking programs. 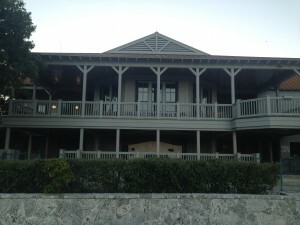 The east exterior of the Dante Fascell Visitor Center at Biscayne National Park. 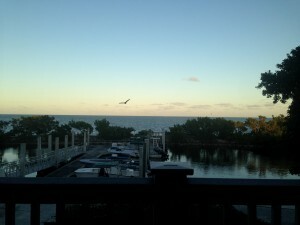 According to Hammond, visitors can spend two hours out in the bay in either a canoe or a kayak on Saturdays. On Sundays, rangers teach lessons for beginners that usually prepare them well enough to handle their own by the end of it. These programs are available by reservation and are free to the public. Johnstone encourages visitors to visit the park with their own boats in order to make the experience your own. “If you don’t have a boat, find a friend who has boat,” Johnstone advised. “This is all public land. You can come in with your own boat, you don’t need to have a ranger guide your boat experience, you can just get out to the islands or get on to the water with having a friend or a family member that can take you out. One of the biggest projects that Biscayne National Park has been conducting in terms of conservation is an effort to eliminate the invasive lionfish species. According to Hammond, they are not sure how the fish got there, but there are a few theories. The first is that the fish came into the area with a hurricane. The second is that people who had them in their fish tanks threw them in a canal or in the ocean thinking they were doing no harm. Unfortunately, the lionfish has no predator and the females lay 200 eggs a month, meaning that the entire coast is infested with the species that eat everything in sight. The park attempted to introduce the fish to the Goliath grouper, but to no avail. Also, according to Johnstone, the park is continuing to monitor water quality and sea level rise with climate change. 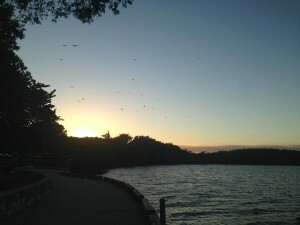 A sunset at Biscayne National Park. Despite the many concerns the park is dealing with at the moment, from lack of a boat tour concessionaire to invasive species, the park continues to be a paradise. Visitors would not know that these problems exist if they were not public knowledge discussed by rangers. With marine mammals like dolphins and manatees visible up close, recreational fishing off the jetty, walking trails, hundreds of plant species, and a humble yet thorough and sophisticated visitor center, Biscayne National Park is definitely a worthwhile place to visit. If you are lucky enough to go out on the water, it will be an experience that you will never forget. Address: 9700 SW 328th St., Homestead, Fla., 33033. Drive to the end of the road until you get to Convoy Point and The Dante Fascell Visitor Center. Park Administrative Offices: 305-230- 1144. Water portion open 24 hours a day. Convoy Point: daily, 7 a.m. to 5:30 p.m.
Dante Fascell Visitor Center: daily, 9 a.m. to 5 p.m. The park does not have an entrance fee, but there are fees for overnight tent camping and boat stays. Detailed information can be found at http://www.nps.gov/bisc/planyourvisit/feesandreservations.htm. Guided canoe and kayak trip reservations are required, but will not be taken earlier than seven days in advance of any trip. Call 786-335- 2612.